The Next Level | What More Can There Be? Firstly a little homework; you may want to read our initial article entitled ‘New Tent, Same Circus’before embarking upon the following flight of fancy! We often refer to organisations shifting to the next level from the assumption that they will maintain their current level of resources to achieve more. As we move into a new era it seems that the level of resources most organisations will have available will decrease. Yet achieving the ‘next level’ has become even more important to stakeholders who don’t want less. There is no reason why an organisation should reduce their level of production, customer experience and the like simply because they have less. Now is the time to move to a ‘New tent, New Circus’. 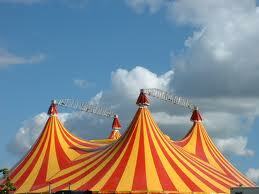 The metaphor of ‘New Tent, New Circus’ focuses organisations on two key elements of change. Change mindsets and change the rules. Here are five factors of uncertainty which argue there has never been a better time to do this. 1. Although there is a desperate rearguard action being fought by many to hold onto a status quo which deep down everyone knows is unsustainable; we all expect our lives to be different in the next few years. 2. We don’t know what the future looks like. This means that the future is there to be moulded. There is an acceptance that there is no longer a ‘right way’; best practice is now only good practice; expert? – expert in what? 3. Changes in resource mean new ways of delivery have to be found. Some organisations are busy trimming people, service, infra-structure and the like. Others are asking more fundamental questions about what purpose their organisations serve. 4. There is a shift in power occurring. Not just the rise of China. Nor people asserting democracy by holding MPs to account, holding the newspapers to account and wanting to hold financial institutions to account. Those who had power can no longer expect to keep it. 5. Technology can create a new world in moments. Giants like Kodak Eastman filing for Chapter 11 Bankruptcy Protection demonstrates how quickly organisations can be left behind. Google, Apple and Social Media rule the roost… for now. This means three things: 1. Social Media is making our world more sensitive to the views of ordinary people 2. Markets can change rapidly, and 3. What is great today could be unwieldy tomorrow. This is why we live in such an exciting time. The barriers to improvement are coming down. Organisations can take a fresh look at their purpose and how they deliver it. Imagination and creativity will become a much sought after currency, freeing people’s minds to the possibilities these five fundamental factors of uncertainty will bring. This entry was posted in Leadership, The Next Level on January 20, 2012 by dave5621. I’m currently embroiled in a British Triathlon Level 2 Coaching qualification. My spare time is consumed with cycling, swimming and running sessions; not to mention the coursework and preparing for an exam. Setting aside the desire to become ‘qualified’, the process is a great example of ‘flipped learning’. ‘Flipped learning’ is where the learner is significantly predisposed to the subject matter to be ‘taught’ before they experience any formal learning. Traditionally people are invited to train at something under the assumption that they know little or nothing; that they arrive as an empty vessel ready to be filled with knowledge, after which they disembark into their workplace to possibly transfer this learning into practice. If we are lucky they have some experience we can hang the training onto, although this experience might be either high quality practice or low quality floundering. It also has nothing to do with how long people have been in a job. Two years of high quality practice can yield the same expertise as 20 years of floundering. Our assertion here is that to ‘flip’ the traditional approach to training by designing appropriate pre-learning such that people arrive at their ‘course’ with some background and a shared understanding allows trainer/facilitators to work more effectively, in greater depth and to greater effect within the vital face-to-face training environment. Given my professional background in training and coaching alongside my ‘extracurricular’ sports-coaching and competing, I arrive at the taught elements of my Triathlon Coaching course with a different mindset than if I had no predisposition. My fellow coaches and I become sponges desperate to refine the techniques we use. We are keen to identify how others have applied them in different contexts. We are eager to hear about the latest thinking and what the Brownlee Brothers (world’s best triathletes) are doing! Most importantly this learning will be applied into our practice the moment we are with our next group of athletes. What if more organisational training was like this? What sort of return on your training investment could be achieved? How quickly could your organisation be transformed? 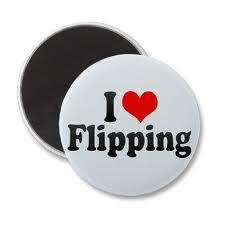 To check out our Flipped Thinking: Part 1 article, simply click the link. This entry was posted in The Next Level on January 13, 2012 by dave5621. In 1923, a reporter from the New York Times asked George Mallory why he wanted to climb Mount Everest. His reply became seared into mountaineering history and will resonate with climbers forever. He simply retorted; ‘Because it’s there’. There is something magical about starting a challenge. Whether it is a personal challenge, in your business, or within your marketplace, the moment you decide to set yourself a goal and head off into the unknown raises the spirit and heightens emotions. There is always an element of risk. No doubt you will consider the pros and cons; complete your risk assessment and a SWOT analysis, but without risk there is no challenge. The learning is, as they say, in the journey. It is only by having a go, experiencing your Everest that you can discover what is possible. Mallory and his climbing partner Andrew ‘Sandy’ Irvine died in their attempt, however there is still debate as to whether they were the first to set foot on the summit of the world’s highest peak. When they set out they were well prepared, at the height of their physical and mental powers and understood the consequences of their endeavour. They wanted to find out what was possible. Indeed their courage continues to show others what can be achieved. As I write this today the news from around the world is dominated by retrenchment, risk aversion, and clinging to what is familiar. The challenge we are presented with is not about discovery, or development, or even progress. Yet surely going backwards cannot be the way forward. Perhaps we need to consider how we challenge ourselves and our people. Maybe this is the time to look up and ask what we can do to make a difference in the world. Conceivably there could be more, not less. 100 blogs ago we set ourselves a challenge to explore ‘What more can there be? We believe that within realms of customer experience, change and striving for the next level we can offer stimulation to our readers. Our challenge is to at least open minds to the possibility, just the possibility, that by thinking differently we can create a better world. The likes of Mallory and Irvine are our inspiration, long before we posed our question they dared to answer it. Why write this collection of blogs? What makes us want to make our small contribution to a challenge so huge? Because it’s there. This entry was posted in Change, The Next Level on January 3, 2012 by dave5621. If I hear yet another speaker quote Albert Einstein’s definition of insanity as ‘doing the same thing over and over again and expecting different results’, I shall scream. Not because it’s a statement I disagree with, more because it is used ‘over and over again’. Interestingly Einstein assumed that the Universe was static! The Expansion Paradigm developed by Edwin Hubble proved that the Universe is actually constantly expanding, which led Einstein to concede that assuming the Universe remained constant was perhaps his biggest blunder. The only real constant is change itself. Unfortunately people’s desire to maintain equilibrium and have a high degree of certainty is strong. Listen to those sages in every organisation who, for as long as I’ve drawn a pay packet, have uttered; ‘It’s not as good as it used to be, we’re always changing things, we need a period of stability…’. The second constant is that change is uncertain. If change is inevitable but we naturally hang on to what we know because the alternative is ‘the unknown’, what will force us to move? The Big Bang was the violent starting point (the singularity) for our constantly changing Universe, thus what is also certain is that any behavioural change also requires a trigger point. That moment when we become ready to accept that maybe, just maybe, we could do something different. We’ve reached the point at which it will only take a ‘nudge’ to set us in motion. This entry was posted in Change, The Next Level on October 17, 2011 by dave5621. The football season is well underway and it won’t be long before some teams are failing to match the dreams of their fans and owners. As is the tradition at these times when your team is doing badly, they have had some poor results and your expectations of Premier League success are fading fast, it’s the manager’s head that is called for. Is changing the leader the answer or is it a need to do something differently. How many of these teams actually recover from a manager merry go round? Academic evidence (Bridgewater 2010) shows that a short term honeymoon improvement over the first 12 games of a new manager’s tenure is replaced by a level of performance below that of before the change. The highest performing organisations are those that develop a winning culture, where everyone understands their long term vision, beliefs and values. More interestingly, how many leaders are able to change their approach, mindset and behaviours to bring about a better performance? 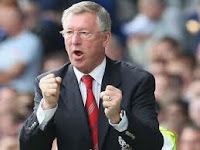 I was particularly struck by the reaction of Sir Alex Ferguson after Manchester United were so comprehensively beaten by Barcelona in the Champions League final 2011. Just looking at his demeanour suggested that he recognised that even at their very best his team wouldn’t have won. The standard of competition had been raised and a new approach was required in order to become world-beaters again. There was no call for the leader to be changed, after all this was an outstanding team. It was the leader that recognised the need to change in order to compete with the best in the business. It’s a brave person who changes a successful team; there is so much to lose, so little to gain. We often see successful businesses stagnate, afraid to do anything different. We find good managers reluctant to adopt different practices because they might give poorer results. What brilliant leaders like Sir Alex have is a clear vision of what they want to achieve and they are not afraid to challenge their own ways of doing things. Their vision does not change, everyone understands the goals, they share the values of the organisation, and they are not afraid to challenge their approach in order to get a better result. If our market, the economic environment, our competitors, or even our team changes then sticking remorselessly to the way we know may well leave us heading for relegation or for the crowd baying for our heads. Great leaders are always prepared to change their rules. Are you able to follow Sir Alex’s example? This entry was posted in Change, Leadership, The Next Level on September 29, 2011 by dave5621. Turn over a stone in a stream to find if there is anything beneath. Want a back stage pass to see what the performers are really like? Stand on the footplate of a steam engine to get the drivers view. 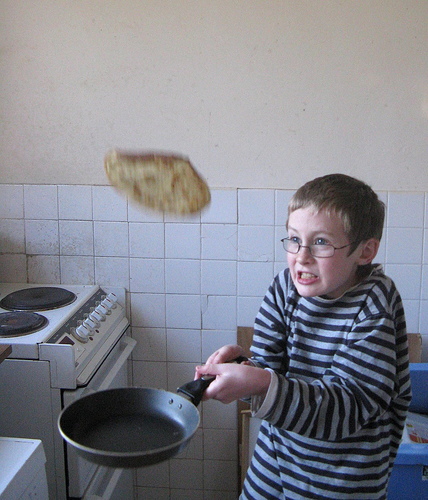 Flip. Look at something from a different perspective. From the outside – in and suddenly you open up a new world of possible improvement. A different way of thinking. Flip thinking. The concept has been around for as long as man has hunted for food. Anthropologists have shown through their study of indigenous hunters that our ancestors realised that they would catch more prey if they thought from the perspective of what they were hunting, where would it feed, how would it react, how did it think. So if this is a primeval instinct why is it that people are so reluctant to think in this way? Maybe it’s because really empathising with people, situations or behaviours isn’t easy. We are different from them, we understand how we would react, that’s easy, after all we do that every day. Russian theatre director Constantin Stanislavsky (An Actor Prepares,1936) the doyen of actors, revolutionised acting by asking his actors to ‘be’ the character they were playing. He wanted his performers to really understand their motivation, lifestyle, and background. One of his infamous exercises is to ask the actor to ‘be a tree’ to help them open up their imaginations. His ‘method’ takes years of practice to master but the performance of the great actors is testament to its effectiveness. Flip thinking encourages people to take a different perspective, one which can open up new possibilities and opportunities for improvement. Few leaders and managers find this easy, they focus on their activity from a process point of view. They understand what their role is, what their team needs to do, what has to happen to enable them to hit their targets, but this often has no empathy with their customer. Opportunities for improvement are missed. Doing the same old thing results in continued inefficiencies. They become very good at doing things which don’t matter. As one sage remarked, ‘Their ladder is up against the wrong wall’. Maybe it should be around the flip side? This entry was posted in Change, The Next Level on September 2, 2011 by dave5621. 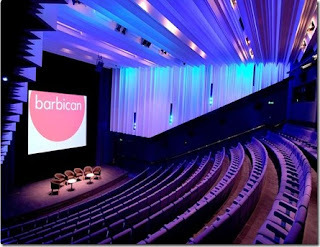 What makes a Conference brilliant? I’ve lost count of the number of Conferences I’ve attended. Very few as a delegate I have to admit, most have been as a presenter or organiser which gives a different perspective on the event. For whatever reason I am there, I always stay for the whole event, even though some of these worlds have been completely alien to me. Amongst the jargon, in-jokes, and intellectual specialisms there is always a gem of learning. I have never left without something interesting to muse over. Quite often these are unexpected ideas gleaned from a prominent speaker or a reflection on the event itself. One of my greatest revelations came at a Health and Safety conference organised for a large utility company. The company invested well over a hundred thousand pounds in the event which was attended by about 300 people. These were the key people involved with the health, safety and well being of thousands of employees from across the business. Here we had the opportunity to fundamentally influence the whole organisation and through their actions the communities they served. Although the conference went really well, achieving all of its objectives and with the organisation and their guests really happy with what went on, I was left with doubts. It was a one-off. There was nothing to take forward from the experience. The boxes had been ticked with vague promises of action plans to follow but nothing in place to check, measure or collect evidence of progress. Many of the attendees were not ‘participants’. They had been told to turn up. It was viewed as an imposition on their daily routine. Some disappeared before the final session. They had not been predisposed by their managers to attend with a view to putting into practice their new knowledge when back in the workplace. It was left to chance. In what other investment of this magnitude would the return be left to chance? The messages being communicated were often lost because it required the audience to make a big leap from talk of strategy, theory and ideas to real front-line practices, thus reducing the likelihood of any consistent change happening. For a conference to give a measurable return on investment for the bill payer we need to pay attention to these points. Doing so ensures the conference is the starting point – the stimulus for improvement. So what makes a conference brilliant? Quite simply, when we know the effort has directly resulted in a great return on investment, which means consistent improvements in practice. This entry was posted in The Next Level on January 5, 2011 by dave5621. Our season’s greeting, here’s to your good health. 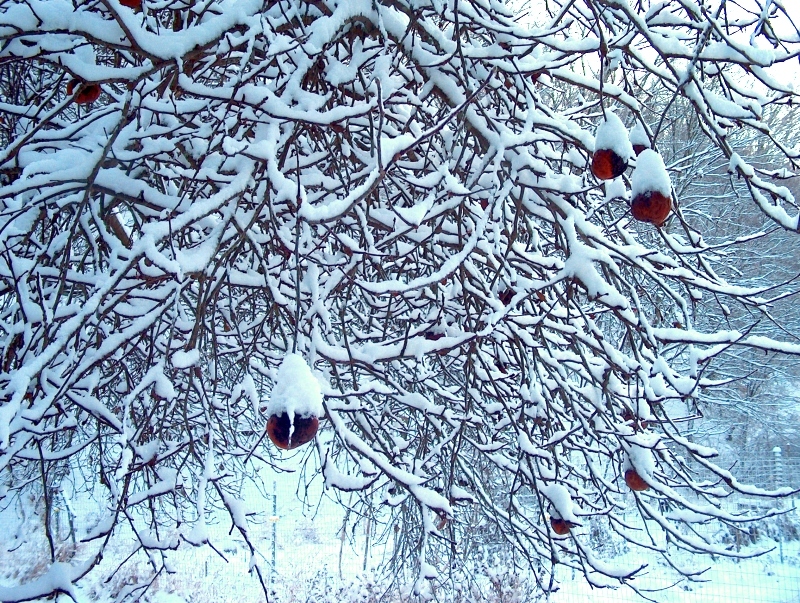 It’s actually a bit early for traditional wassailing which usually happens in orchards around the country, on 12th night. Seeing as this could be 5th January or 17th January depending on which calendar you are currently using I thought l’d usurp the sentiment and adopt it as our Christmas greeting. There you go, even traditions brought to us from the Anglo Saxons and Vikings have changed, been adapted and adopted. Their ‘Wassail’ greeting (‘be healthy’) was used like we’d say Hello, Good Morning or even G’day. This was accompanied by a hospitable drink if you were invited into their home and so the greeting became a toast. 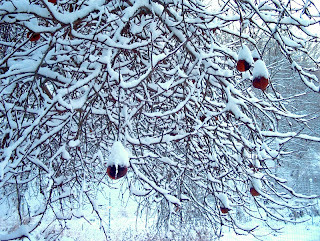 Which fitted nicely with festivities to celebrate the apple trees which if ‘wassailed’ by pouring cider around their roots, making them an offering of bread or toast and beating the trunk with sticks to scare away evil spirits, would awaken the tree to give a bountiful harvest in the coming year. Nice idea for increasing productivity: praise people for what they have contributed, offer them food and drink, then beat them with sticks! Maybe miss out the last bit. This entry was posted in The Next Level on December 20, 2010 by dave5621. ‘Wow!’ is that point where you are delighted and surprised. You are left feeling good, as if you have been given a really nice hug. Whereas, ‘Whoa!’ is where the intention was to leave you delighted and surprised; instead you feel like this was just too much, a step too far, like when you’re a kid and your granny has a left lipstick kiss on your cheek. Or, the intention is not right, people are trying too hard, they are putting on an act, this is not their natural inclination but one that is forced. On the receiving end, it just feels creepy. The problem is that we all perceive situations differently. I might think ‘wow!’ and my colleague who has experienced the same thinks ‘whoa! I’m happy. I’ll go back, perhaps even recommend these people to other friends. My colleague on the other hand feels decidedly uncomfortable and wouldn’t go back there unless accompanied by a large dog. We need to understand this cusp because If you want to leave people thinking ‘wow!’ and achieve ‘whoa!’ then it could be a disaster. 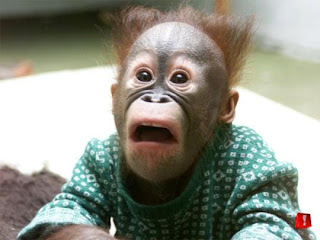 ‘Wow!’ means we’ve connected; we have rapport, whereas ‘Whoa!’ misses the mark. You can do all these brilliant things above and yet if you fail to make a connection all that hard work has been wasted or worse. This entry was posted in The Next Level on September 14, 2010 by dave5621.